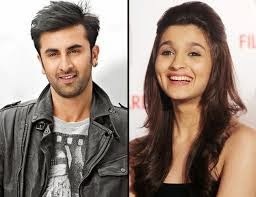 'Rockstar' star Ranbir Kapoor will star opposite actress Alia Bhatt in director Ayan Mukherjee's next film. "Ayan Mukherjee's next for Dharma productions is slated to begin mid next year and release December 23rd, 2016. Ranbir Kapoor and Alia Bhatt..," the director-producer tweeted. Earlier on the Karan Johar's show Koffee With Karan, Alia was seen praising Ranbir Kapoor. She said thatt she wants to marry the actor. Thus, this casting will be a fun to watch on Big Screen. Karan Johar, who will be producing the film, took to Twitter to share the news. The movie is expected to release on December 23, 2016.